The Polymath Chronicles: ACT NOW! Today is a very exciting day, full of happy news on the book front. First and foremost, I want to let you know that for the first time EVER, one of my books has been made available digitally at a significant price reduction. For one week only, beginning today, OUT TO LUNCH is available for only $2.99! It tells the story of a woman who loses her best friend, and gains custody of her best friend's annoying husband. There are fabulous recipes. There are adorable dogs. There is hilarity. I know that this book came out in December over a year ago, when your minds and budgets were all swirly full of holiday madness and expenses, so I'm really thrilled that my publisher is doing this special pricing for a week so that everyone can catch up. If you didn't get a chance to get it yet, now you can! If you read it and loved it? I hope you will consider sending it as a gift to some of your besties...after all, for $2.99 it is cheaper than buying and mailing a card! And if you really love me? Please help me spread the word on your social media sites, because this pricing will go back to normal levels on 1/27, and I want everyone who wants to read it to have a chance at this low price. 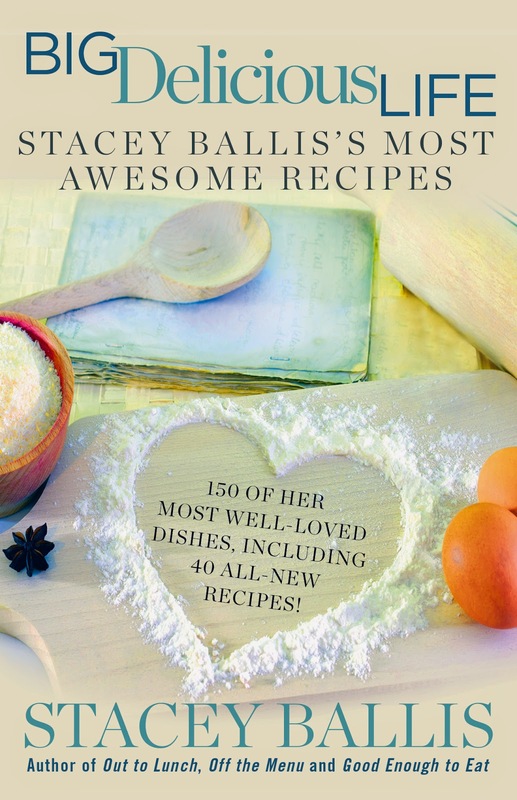 And to sweeten the deal, if you post about it on Facebook or Twitter, along with my Facebook author page LINK or my Twitter handle @staceyballis and you can win a copy of Big Delicious Life! If your peeps retweet or share your post, they will be entered to win as well! I'm giving away 5 copies, so you have many chances to win, and yes, if you do both Facebook and Twitter, that gives you two chances, so let's get the word out, you are eligible to win as long as your post goes live by 10:00 AM CST on 1/27/15, winners will be announced on 1/29. This is really important. I need you to help me make this week a huge blowout...because the only way my publisher will ever make any of my books available to you at this price point again is if this promotion is a massive success! And I want all of you to be able to read ALL of my books, and if this price makes that possible, that makes me enormously happy. So I hope you will join me this week in getting the word out, so that hopefully there will be more special deals like this coming down the pike! Thank you, in advance, so very much for all of your support. In other news, RECIPE FOR DISASTER is almost here! 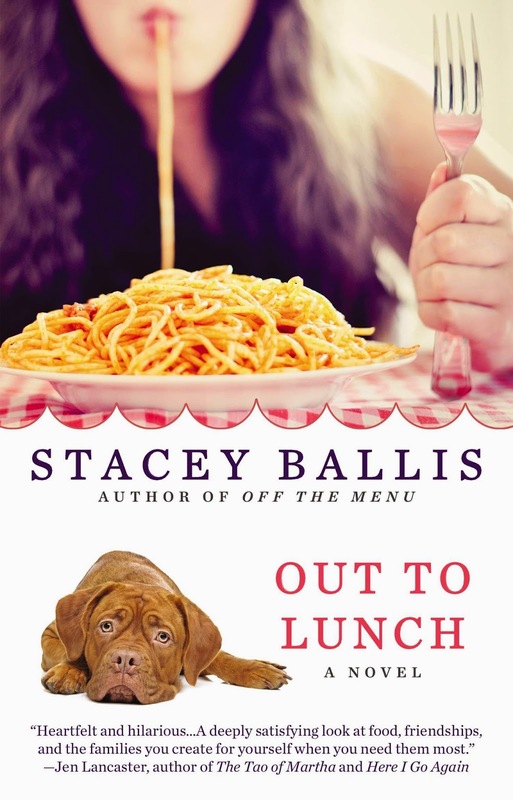 It is available for pre-order, so if you happen to be over at Amazon or Barnes and Noble getting your copy of Out to Lunch, you might just want to pop over and check it out as well! 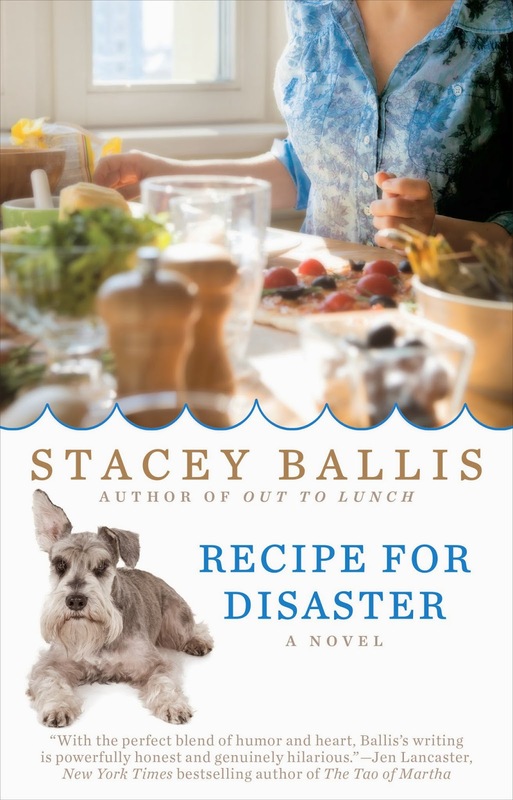 RECIPE FOR DISASTER is the story of a house flipper who loses her job, her fiance, and her home in one horrible day, and must rebuild her life while living in the half-finished ruin of her latest project, with her dead grandmother's schnauzer who hates her. With fabulous recipes, of course. I have to say, this one is really special to me, and I'm terribly proud of it, and I really think you are going to love it! Stay tuned for some really fabulous house updates along with the winner announcement on 1/29, in the meantime, go forth and shout to the rooftops for me, and be sure to tag me or include my handle so that I can enter you to win!